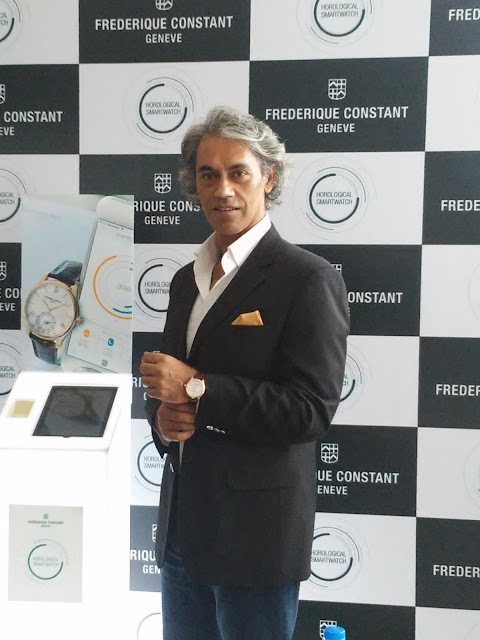 Frédérique Constant- Smart watch launch-The Insider’s Report! Frederique Constant in collaboration with MMT and Fullpower launched its first Horological smart watch in Delhi with the brand ambassador Samir Suhag and Williams Besse, International sales manager. The Insider brings to you the reasons to procure this stunning piece.It is not a digital watch. Yes, unlike all other smart watches so far, Frederique Constant is unique in its own way as it is Horological smart watch.This smart watch can connect to both ios and Android.This is surely icing on the cake? Right? · Here’s the smart thing about the watch!-It can track your sleep cycles, provide active alerts, smart coaching which will (hopefully)help you stay fit and plus a cloud which will help in storing and backing up your data. Expectations of brand from Indian market. The Indian market is growing on a very fast pace as we all can see- so we’re in the right place! Also,the watch relates to the young generation with its features and provides elegance with its design which hopefully will create a market for the watch in India! Previous post: The Rakshabandhan Luxe List! Next post: #All Aboard Print and Blog world- Kiran Manral!